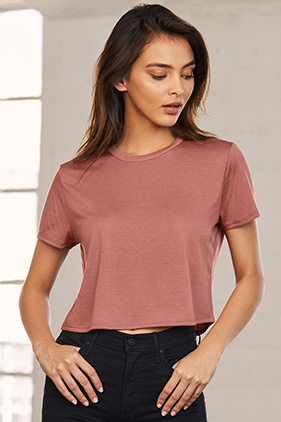 65% polyester/35% viscose, 32 single 3.7 ounce modest crop tee. Flowy fit. Side seamed. Tailored sleeve. Inset sleeves creates an unforgettable silhouette. Tearaway label.